How do like your Agilia in the morning? – Comment prenez vous votre Agilia le matin? On a dark early morning in late November, two big white whirring trucks turned up on our site. Finally the time had arrived to lay our concrete slab! This was such an exciting moment in the build process and neither of us can wait to see it. 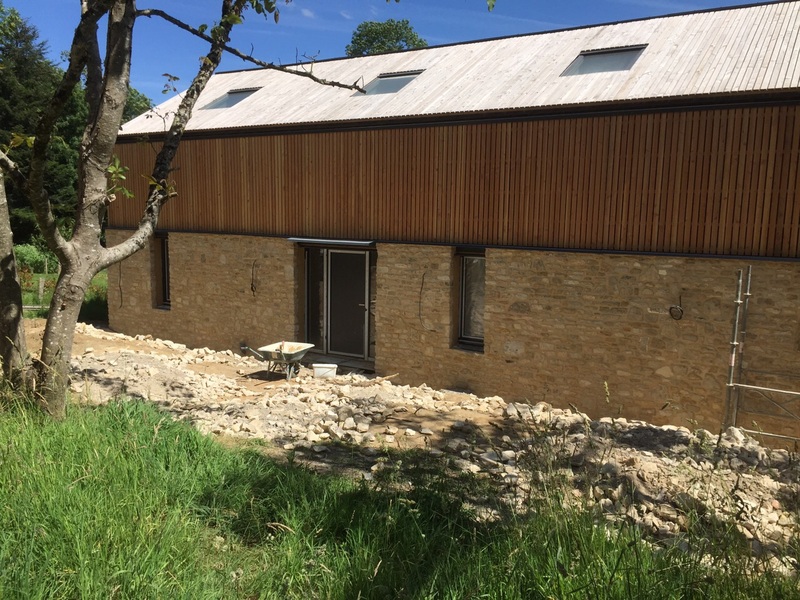 Our builders have done a fantastic job throughout the build and have always kept us informed with photos and now a video! The finish is so smooth it looks like water. It is probably a good job i’m not there because wet concrete is s bit like ‘a moth to a flame’ and i’d be very tempted to write my name. I don’t think Tom or our future guests would be too impressed because it is likely that (all be it with a resin on top) that this will be out floor finish. 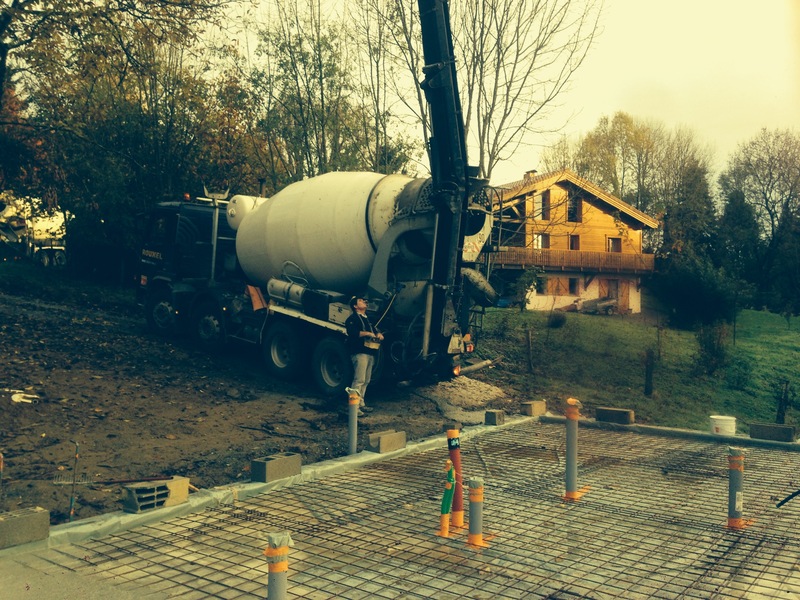 Below is a video that Stuart our builder took of the concrete being poured. To the right of the video you will have seen a big hole in the ground. 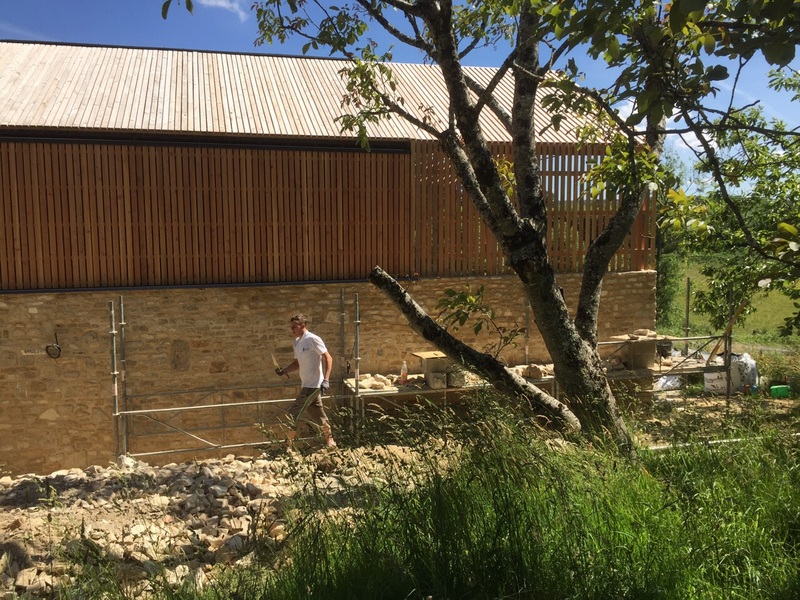 Don’t worry, we haven’t missed a bit, this is where our pergola/terrace structure will sit, and where will will eat cheese, drink wine and look at the view! Seeing the guys smoothing out the slab, you can see how amazing this Agilia is. 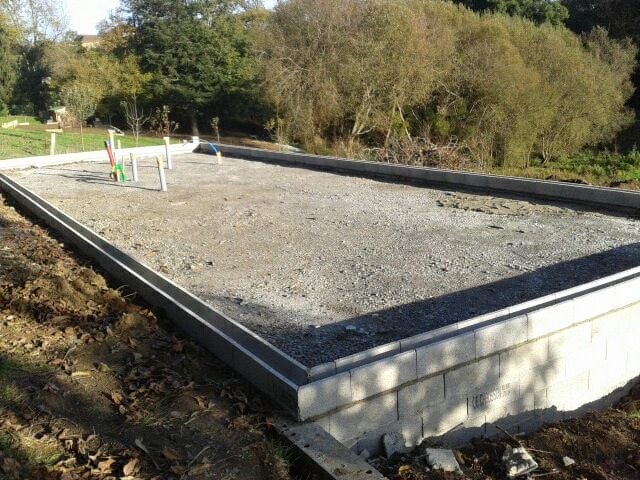 Our foundations are now complete a great achievement with no problems, we are now ready for our timber frame. We also managed to avoid the classic Grand Designs mishap of spending all our money just to get out of the ground. Now where’s that bathroom and kitchen catalogue….. Categories: French House Build, Montemboeuf Plot | Tags: agilila, concrete slab, foundations, Lafarge, SLM construction | Permalink. First of all, apologies for the slightly tenuous title of this post, but I used it because I thought that it would be a good excuse to post the song at the end of this entry – enjoy! Since we last wrote our builders have put down a wire mesh, which will to help reinforce the slab, some (plenty) insulation and finally a layer of polythene film. The polythene film has been put down to keep the concrete slab and the insulation apart to allow movement between the two. You can see the design of this as a cross-section in a previous post. 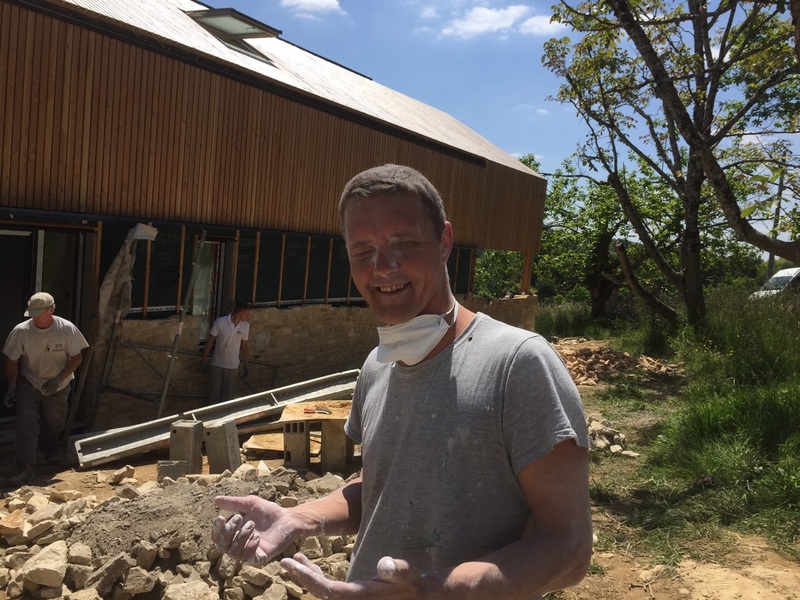 To make this house as energy efficient as possible, Tom has designed in quite a lot of insulation, both in the floor and the walls. This means that the house will not need to have any central heating. We will have a poêle à bois for when the weather gets cold and because they are a warming addition to the living room. This should be all we need! 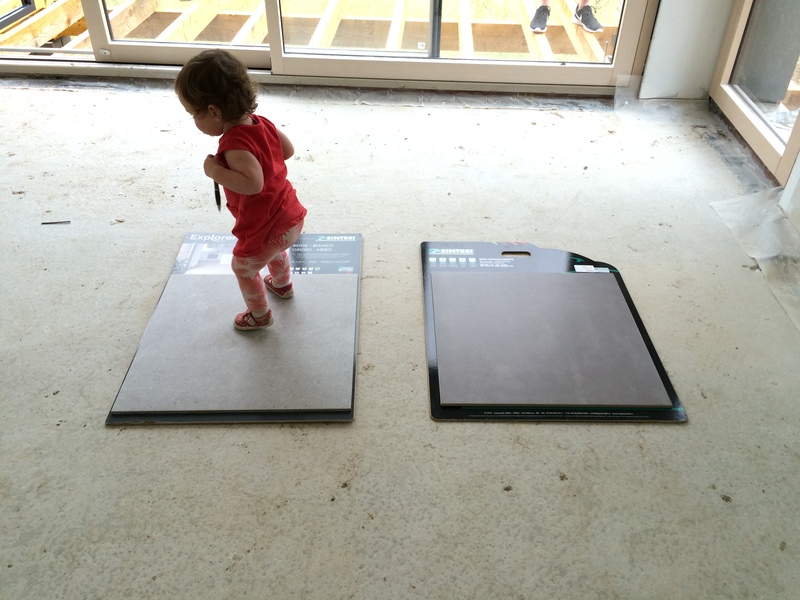 Also, as mentioned earlier, the use of the concrete slab will help with the thermal mass of the house. The next stage of the process will to lay the concrete slab. We hope that this will be complete by the end of next week. Although, continuing with our obsession with the weather, it looks set to turn over the next few days. Thank heavens for Agilia concrete! As promised here is that song I wanted to add – if you can think of a better title using Insulation, please let me know. 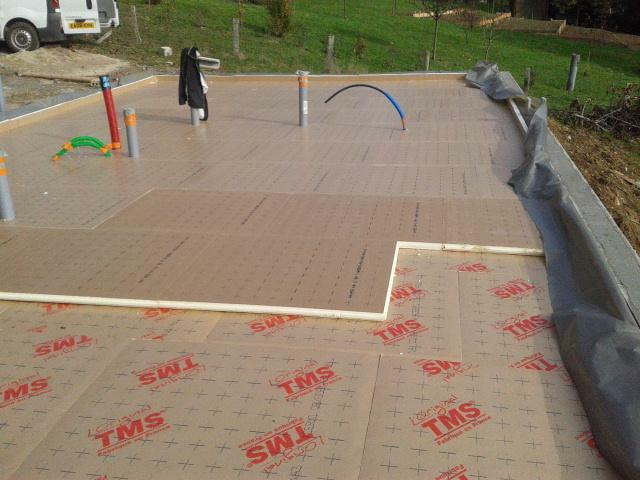 Categories: Construction, French House Build, House Construction, Montemboeuf Plot | Tags: Damp proof membrance, Insulation, Kermit the Frog, LCD Soundsystem, Poêle à bois, SLM construction | Permalink. Did you ever see such a beautiful set of foundations? What to some may be just a load of concrete and concrete blocks to us it is the very foundation of our house – literally! As you can see things are still moving quickly on site and the foundations are nearly finished. Our builder has placed a u-block on top of the concrete block wall to help support the timber frame. Hopefully the foundations will be finished in the next week or so. I am really looking forward to being on site again because I think I’ll get a better impression of the scale of the build. I had thought in a previous post that I had an idea of the size of the house, but seeing these pictures, I don’t think I have. It looks quite small to me, even though I know it isn’t! I will have to do my ‘Grand Designs gawping’ when I get there after all. 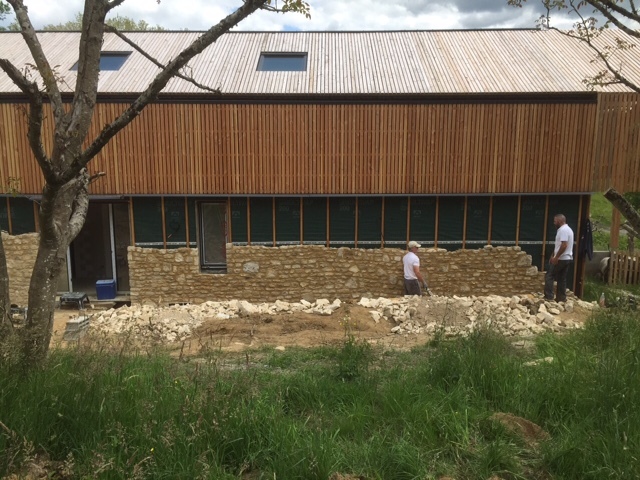 Montemboeuf looks to still be bathing in glorious sunshine, we just hope that this great weather stays for when we head out there and for when the timber frame starts to go up at the end of the month. Tintin update – I haven’t got much further with my attempt to read Tintin in French – it is harder than you might think! In honour of our last post, I couldn’t resist putting up a little video. It is also quite appropriate here, considering the name of the band. Categories: Construction, House Construction, Montemboeuf Plot | Tags: concrete, foundations, Montemboeuf Plot, Montemboeuf weather, SLM construction, ublock | Permalink.